*See Detailed Directions at the Bottom of the Page if Coming from Phoenix. From Show Low/Pinetop: Take the US-60 EAST for about 10 miles, at the Junction, turn Left onto AZ-61 travel for about 20 miles, turn left onto AZ-180A. Once you are on the AZ-180A, turn right at Mile Marker 352, follow the two lane dirt road, turn right on Red Rock Ranch Road, turn left on Red Rock Lavender Road and drive down to Red Rock Vineyards Road to enter the parking lots located outside the entry gates. From St. Johns: Starting at AZ-61 going towards Concho, turn right onto AZ-180A. 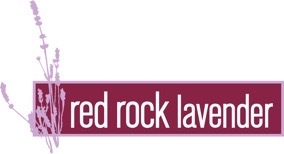 Once you are on the AZ-180A, turn right at Mile Marker 352, follow the two lane dirt road, turn right on Red Rock Ranch Road, turn left on Red Rock Lavender Road and drive down to Red Rock Vineyards Road to enter the parking lots located outside the entry gates. From Snowflake: Starting at Concho Highway going towards Concho, turn Left onto AZ-180A (this road is not marked with the AZ-180A sign but at the end of the Concho Highway it curves left, turn left onto the AZ-180A. Once you are on the AZ-180A, turn right at Mile Marker 352, follow the two lane dirt road, turn right on Red Rock Ranch Road, turn left on Red Rock Lavender Road and drive down to Red Rock Vineyards Road to enter the parking lots located outside the entry gates..
From Flagstaff: Take the I-40 East towards Holbrook Take exit 285 for I-40/US180 EAST toward AZ-77 SOUTH/Petrified Forest National Park, turn right onto the US-180 EAST, travel about 35 minutes and when you reach the junction, turn right onto US-180A, travel about 10 minutes, turn left at Mile Marker 352, turn right on Red Rock Ranch Road, turn left on Red Rock Lavender Road and drive down to Red Rock Vineyards Road to enter the parking lots located outside the entry gates. From Holbrook: Take AZ-77 SOUTH/Petrified Forest National Park, turn right onto the US-180 EAST, travel about 35 minutes and when you reach the junction, turn right onto US-180A, travel about 10 minutes, turn left at Mile Marker 352, follow the two lane dirt road, turn right on Red Rock Ranch Road, turn left on Red Rock Lavender Road and drive down to Red Rock Vineyards Road to enter the parking lots located outside the entry gates. Please Note: We are in a rural area and recommend that you bring driving directions/map so you do not get lost. We are just off the AZ-180A Highway, Mile Marker 352. Get to Phoenix taking the 10 Freeway and then look for the 202 Freeway signs when you are going through Phoenix. You will want to get on the 202 North (The Red Mountain Freeway) and exit at Country Club Drive in Mesa - turn left to the 87 Highway to Payson, in Payson take the 260 Highway to Heber/Overgaard. Go through Heber and take a left to the 277 heading to Snowflake go straight on this road and it will turn into The Concho Highway. Go 30 miles until you hit the 180A (not sure if they put the sign back up after redoing the road but when the highway ends and curves left) make a left turn. Go 2 to 3 miles until you see an old adobe ruin and mile marker 352. Turn right after the mile marker at the opening and drive along a double gravel road, turn right on Red Rock Ranch Road, turn left on Red Rock Lavender Road and drive down to Red Rock Vineyards Road to enter the parking lots located outside the entry gates. From Phoenix to Payson it takes 75-90 minutes and from Payson to Concho it takes about 2 hours. Total trip from Phoenix takes about 3 1/2 hours.